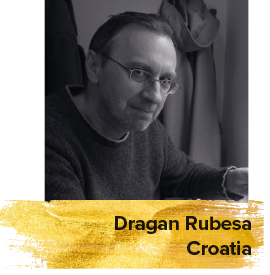 Dragan Rubeša is a well-known film critic, programmer and journalist who writes for several European outlets. He was awarded the Vladimir Vuković prize for film criticism by the society in 2003. Rubeša is the author of the book Body Language: Notes on the Non-Hollywood Film.